Filing your own disability claim can be a very frustrating and time consuming process. Just collecting and organizing medical records and evidence, wondering if you have the right information, and if you are filling out the forms correctly can be daunting. It is important that you have someone experienced who can represent you and improve your chances of securing the benefits you are entitled to. If you have already been denied, you should consult with us right away, as appeals are subject to 60 day time limits and the appeal process can be complex. SSA admits that represented claimants have a better chance of success. There is such a tremendous case load of claims in Georgia that approximately 74% of Initial and 89% of Reconsideration applications for disability are denied. Claimants applying without disability representation are more likely to be turned down than those who have an advocate. An experienced disability advocate like Hynes & Associates can make sure your application is correct and complete and that all accompanying paperwork needed is in order to present your case in best way possible. Having a representative helps claimants receive more positive results and can also result in a quicker claim process. We can evaluate your claim to make sure you will receive all of the benefits to which you’re entitled. 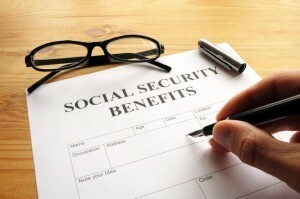 Relationships built over time between Social Security administrators and judges helps smooth the process. Hynes & Associates cares about you as a person and will never treat you like a case number. As we prepare your case, we will also prepare you for testimony you may be required to give by going over any questions an Administrative Judge might be likely to ask. We will attend any hearings with you as your representative in the assigned hearing location.